The roof is one of the most integral structures to your home, and a home without a roof in tip-top shape isn’t safe at all. 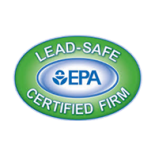 It leaves your home susceptible to leaks and the roof itself vulnerable to extensive damage. It’s important to make sure that your roof is free from leaks and that every layer is secure. Regardless of the composition of your roof, it must be tended to and inspected by a roofing professional regularly. You’re seeing moisture in all the wrong places. One may argue that any roof’s first job is to keep water out. Today’s roofs are designed to do the job well for many years. However, no roof is invincible, and water eventually gets through them all if they aren’t cared for properly. Stay aware of weird stains, smells, and humidity, which can all be signs of a compromised roof. Shingles are missing, curling, cracking, or bubbling. We get some pretty intense weather in Kansas City, and our roofs take the brunt of the abuse. Watch for shingles looking worse for wear and give us a call if you spot them. Once they’re damaged, the problem just gets worse, so don’t let it! You’re not sure how old your roof is. Generally, you should learn how old a roof is when you move into a place. However, if nobody really knows how old the roof is, you can pretty much expect it to need replacement. Give us a call. Our world class residential roof repair team can assess the situation, your budget, and timing to give you the very best outcome. 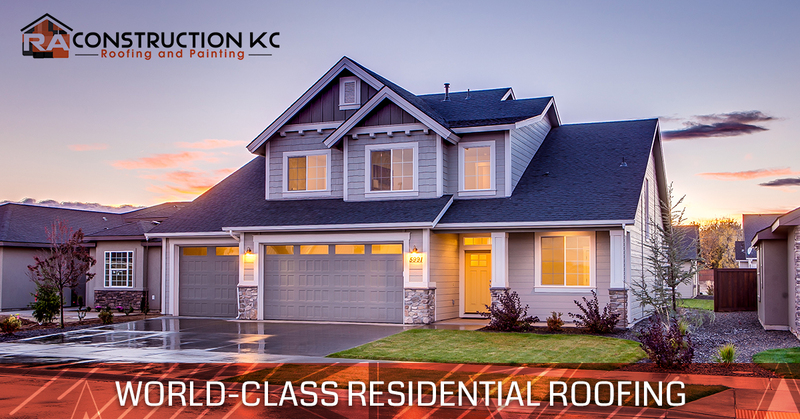 RA Construction KC has contractors backed by years of experience who have the ability to not only perform roof inspections, but to also diagnose any issues that may compromise the integrity of your roof. All of our roof repair services are based on our knowledge and expertise in the industry, allowing us to provide quick solutions that won’t cost you an arm and leg. In need of a roof installation, repair, or replacement? Call us today!